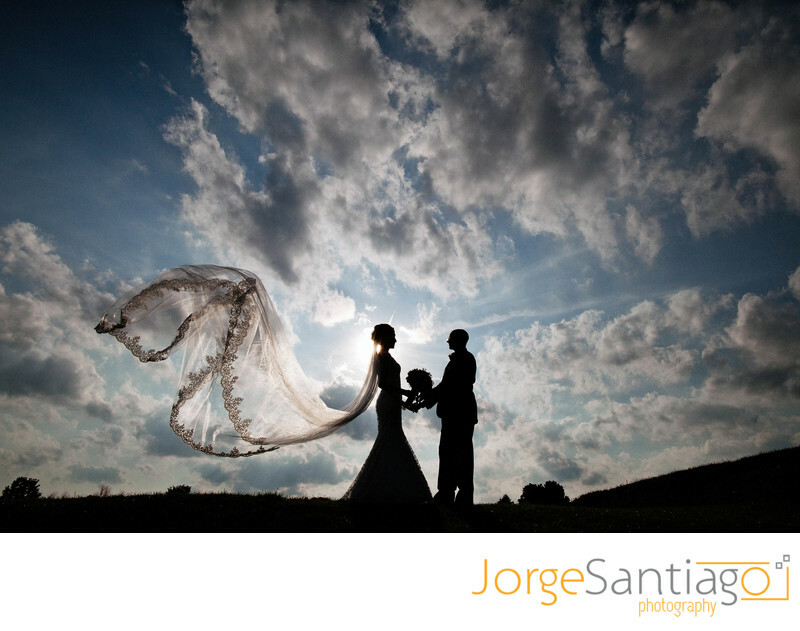 Pittsburgh wedding photographer, Jorge Santiago, captures the bride and groom against a stunning background of Pennsylvania summer sky. Jorge Santiago takes a boutique, documentary approach to wedding photography, featuring the specific, unique details of each ceremony, from the landscape and setting to the embroidery on the veil to the bride's bouquet. Here the bride and groom stand in silhouette with her stunning cathedral veil lit up dramatically by the sun.